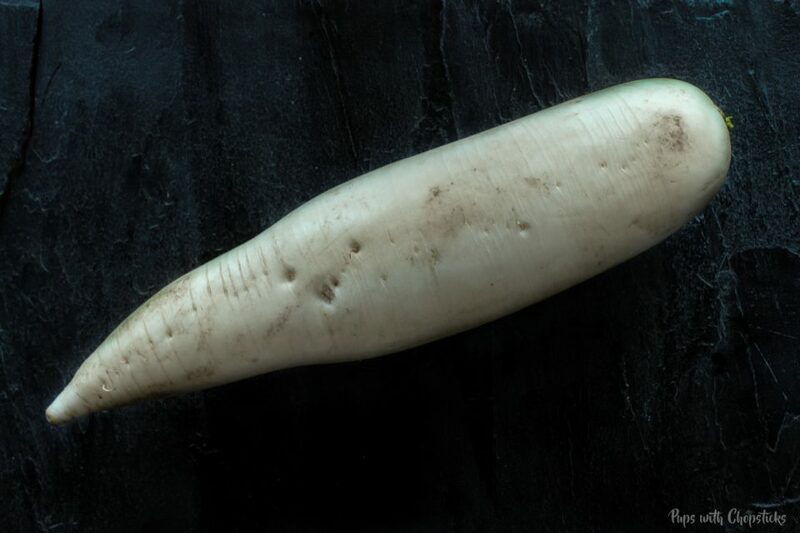 Daikon radish is a large root vegetable that is very versatile and commonly used in Asian cuisines and can be enjoyed both raw and cooked. You can use these in broths, unique sauces, salads, stews or as a condiment. An interesting way to use this raw would be to grate it and put a small amount of it into soy sauce to transform plain soy sauce into a flavourful and unique dipping sauce. When you cook daikon radishes, their sweeter flavours come out which makes it fantastic for braises and stews. If you want to go the adventurous route these are also very commonly used to make turnip cake which you find at dim sum and lunar new year festivals. There are a few types of Asian radishes and this one should not be confused with the Korean radish which is used for making kimchi. You can typically find these at Asian supermarkets but they have been growing in popularity and they have also been spotted at local grocery stores as well. When picking them out at the grocery store, make sure they are smooth skinned with no cracks and creamy white in colour, and most importantly firm. Give it a squeeze, it should feel like a apple. If it is soft and squishy (and slightly bendable) then move on to another one. When cooked, it brings out the sweeter flavours out and removes the earthy bitter flavour. Tidbit: Raw and leftover daikon radishes smell faintly like fart. There, I said it. 😛 Kinda like cabbage! The smell may be off-putting to some but rest assured it’s delicious! In it’s raw form, it has almost an raw apple consistency – crisp and crunchy. In it’s cooked form, it is soft, keeps it’s shape well (unless you braise it for a long time) and has an almost velvety consistency. They should be stored in the fridge in the crisper drawer in a plastic bags that have holes. If the plastic bag doesn’t have holes, make some – it needs to breathe a bit as well as maintain a good amount of humidity within the bag. Thank you, So informative. Can’t wait to try it out.